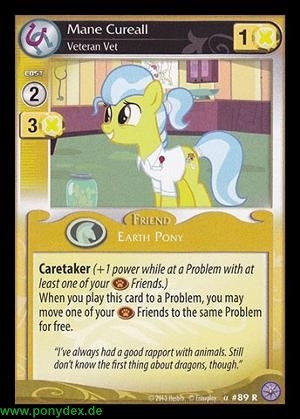 When you play this card to a Problem, you may move one of your Critter Friends to the same Problem for free. "I've always had a good rapport with animals. Still don't know the first thing about dragons, though."